How Hard Is It To Get Into The A Cappella Academy? 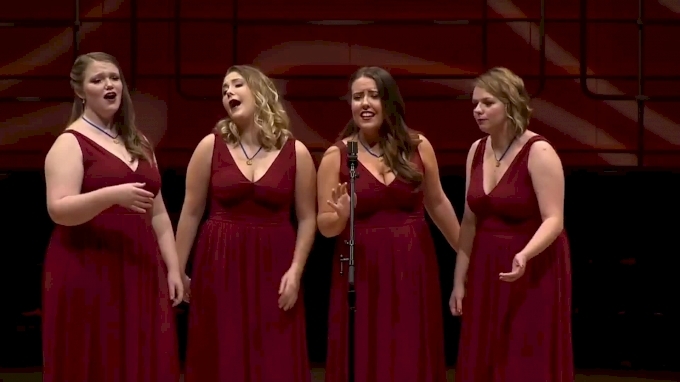 The A Cappella Academy may consider itself a pre-professional program, but its audition process evaluates far more than just a singer's skills and technique. "Our guiding mission statement at A Cappella Academy is to bring light to others with music," co-founder and camp director Ben Bram told FloVoice. "We carry this mission statement into our selection process, and we carefully pick the voices and personalities who we know will embrace and embody this vision." The audition process for this highly selective camp starts with a video in seven parts, which are outlined here. It takes a good amount of work for the applicants just to put an audition video together. "Part singing is the No. 1 most important part of the audition video," Bram said. It is also often the make-or-break section when deciding to move forward with someone. An extremely high level of vocal and musical talent, both as a soloist and a part singer. Ability and willingness to be a team player and contribute to a group. Step 1: Ben Bram, Rob Dietz, and Avi Kaplan watch every audition video, and select approximately 250 people out of the 588 applicants who they think have potential to be accepted. Step 2: They place those 250 into four vocal categories (bass, vocal percussion, tenors/baris, sopranos/altos). Step 3: From there, they make their picks on who they think should come to camp, and in the process they start to loosely form the small groups. Since there are only eight small groups at camp, they can only accept eight basses and eight vocal percussionists. ​Step 4: During this process, the team of three sometimes disagrees and discusses at length until a consensus is reached. Once they agree on everything, they send out their acceptance letters! This year, the A Cappella Academy had 588 submissions from all over the world, and it accepted 75 campers, who hailed from all over the U.S., Canada, New Zealand, Croatia, Japan, Taiwan, and Singapore.